Description: Mystic is a big, sweet girl. She is quiet and good natured. She has done a number of beginner lessons in her life and lots of trail riding. She is also in training to learn how to carry her big body in a more organized way and to respond to more refined aids. She is useful on the lunge line and is an excellent adult beginner horse. 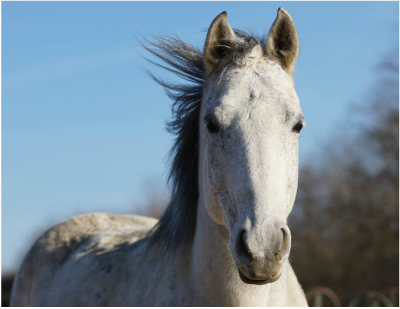 Description: Lovely mare, barn favorite! She is excellent horse for advanced beginners - to advanced riders. She knows a lot and can adjust to the level of the rider. With a beginner, she is usually lazy! She enjoys trail riding and western dressage as well! Description: Sensitive guy, great for the intermediate rider. Has had a lot of dressage training, will help the rider develop clarity and the ability to ride from back to front! 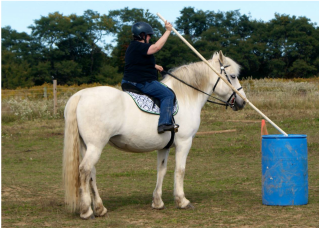 Description: Merlin is a draft cross, suitable for the intermediate/advanced rider. He has been shown through training level and knows the basics. 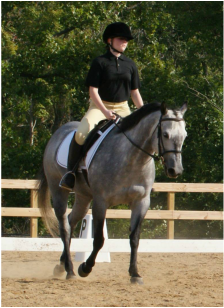 He also knows how to worm his way around the rider which makes him excellent for teaching students how to create a connection from back to front. He is available for half lease. ©2012 Cessna Stables, LLC. All rights reserved.